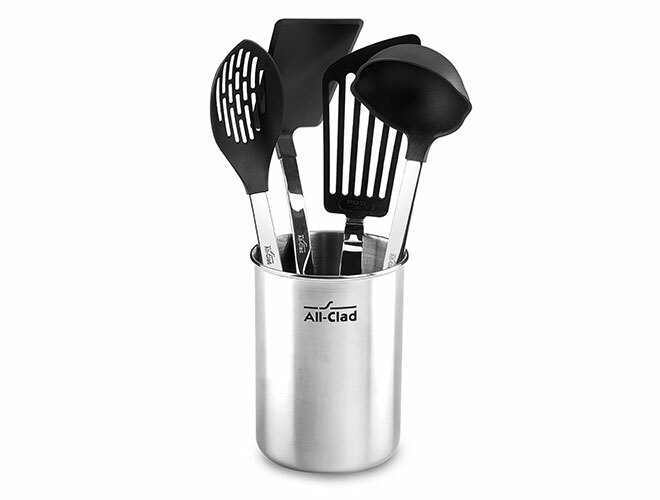 The All-Clad Nonstick Kitchen Utensil Set includes a slotted spoon, solid turner, flexible slotted turner, ladle and stainless steel canister. Perfect for displaying on the counter while saving room in crowded kitchen drawers. 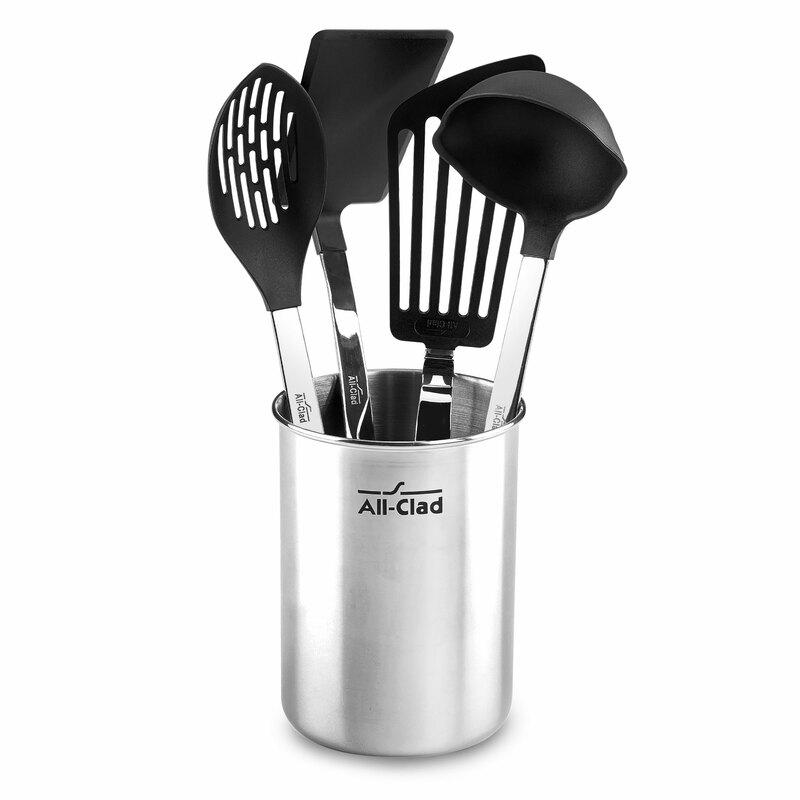 Each utensil features nylon-coated nonstick heads, safe to use on all types of cookware including nonstick and hard anodized. The ergonomic handles feature finger grips, offering comfort and balance. The polished stainless steel 18/10 construction provides quality and durability. 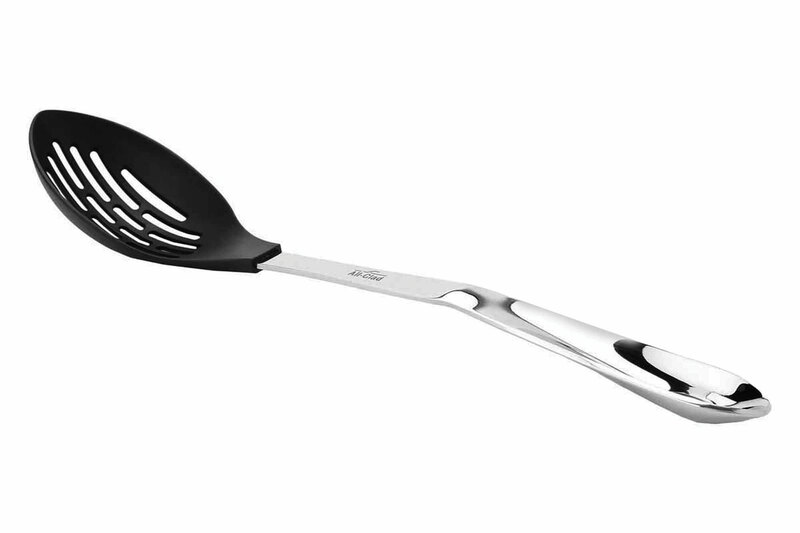 The slotted spoon features long slits to prevent food from falling through while draining excess liquid. 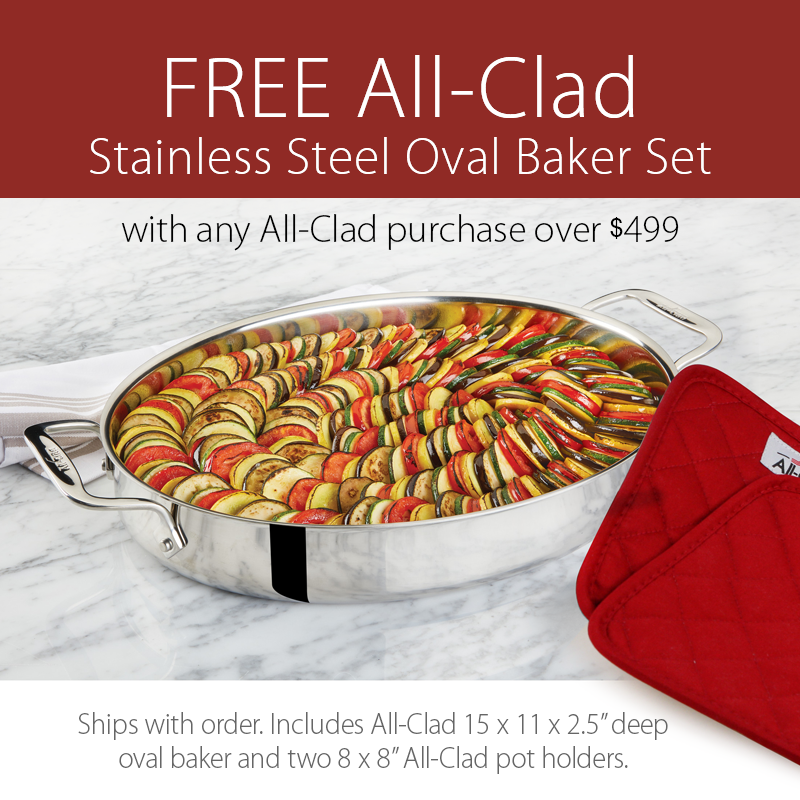 Perfect for removing vegetables from boiling water or to drain sauce off a braised dish. 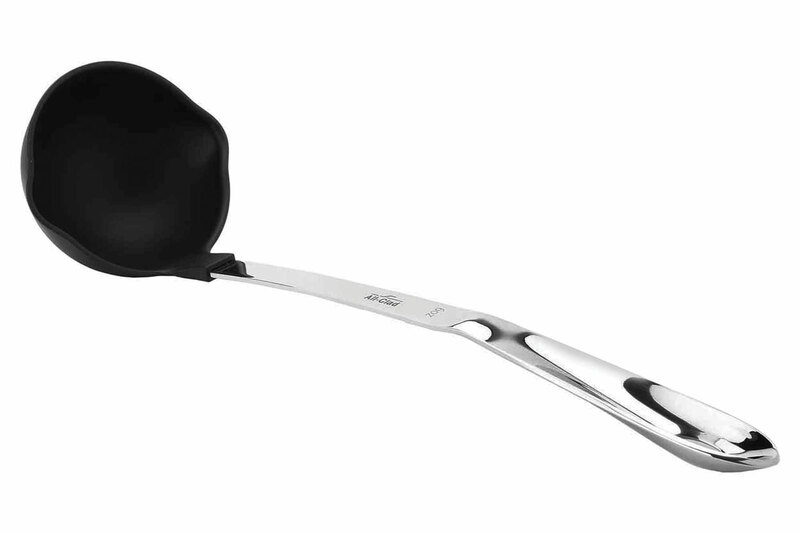 The ladle has a 6-ounce capacity, making it an ideal choice for filling up mugs of homemade cider or bowls of stew. With a rimmed edge for easier pouring, it can also be used for measuring liquids in a recipe. 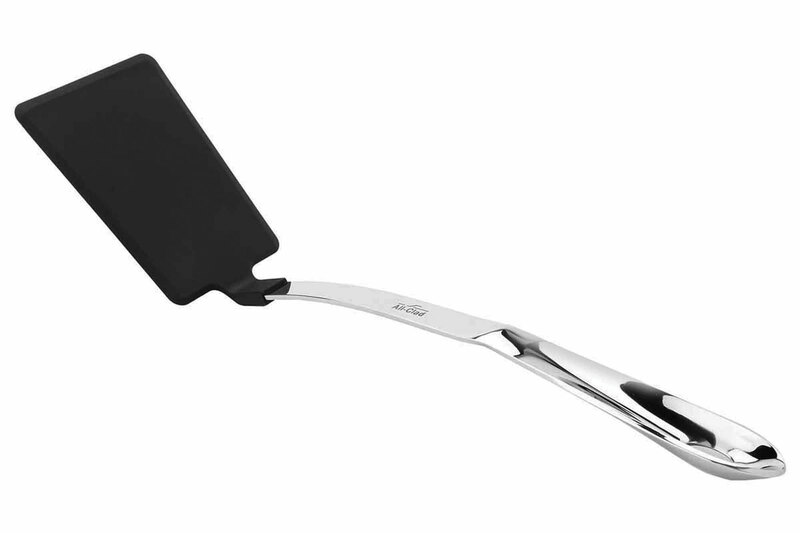 The solid sturdy turner has a square nonstick head that helps it easily slide underneath and lift all sorts of food. Use to turn pan-fried or baked goods without causing a mess. 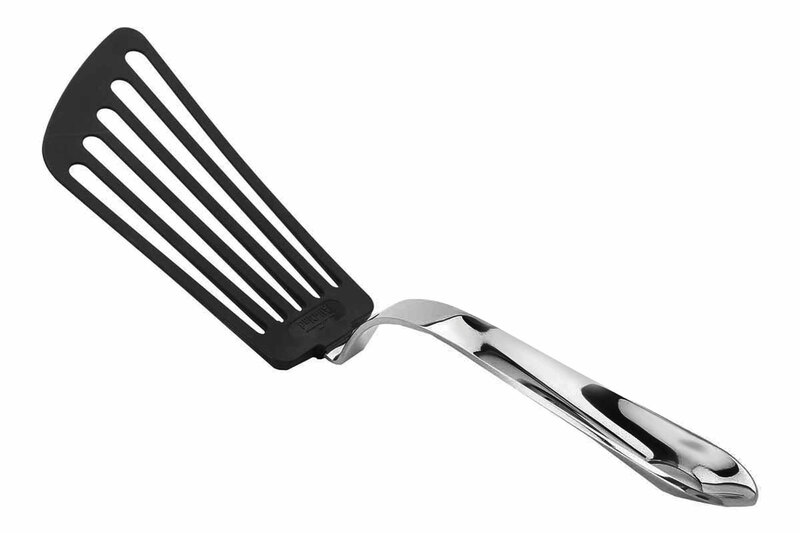 The flexible slotted turner has a thin and flexible nonstick head with an angled edge, best used for turning or serving delicate items such as eggs or fish fillets. Long slots in the head drain away excess oil as the food is lifted. The stainless steel canister can be used to display this set on your countertop, keeping your tools within easy reach while cooking and saving space in your kitchen drawers. Lifetime warranty, dishwasher safe.